Empowering your whole financial truth. We welcome the chance to bring our enthusiasm about financial development to your group, company, or school via specialized workshop opportunities. We’re also available for private coaching for individuals, couples, and families. Stay in touch for updates on the FIT Program, financial tips throughout the year, and much more. Subscribe to our newsletter. and Live Your Tailored FIT Life. While some financial guides offer one-size-fits-all advice, Financial Insight Training specializes in recognizing your unique relationship with money and empowering you to uncover your whole financial truth. FIT is the trusted partner who listens without judgment and teaches without reservation, so that you can craft your ideal life, supported at every turn. We use our expertise to serve committed individuals who are open and dedicated to transforming their money mindset. Whether you are looking to grow from lack to luster or from uncertainty to confidence, we will meet you where you are. With our immersive, personalized program, you’ll succeed in learning how to create a full life that you’re in control of and fulfilled by. Though it touches every area of our lives, dealing with money can be confusing, intimidating, and sometimes shameful. As a result, the conventional language around it is often clumsy, complex, and inaccessible. Using proven tools and a coach-centered approach, FIT ensures that you feel supported and are confident to truly master your life with financial dexterity—inspiring greater awareness and choice aligned with your truest desires. 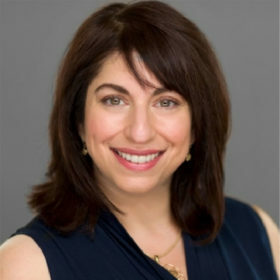 Jodi’s passion for Behavioral Finance—a field that examines the relationships between money and psychology—has propelled FIT to reach beyond a conventional approach to provide members with a framework for making strong financial choices, both day-to-day and during the many significant transitions that occur in their lives.